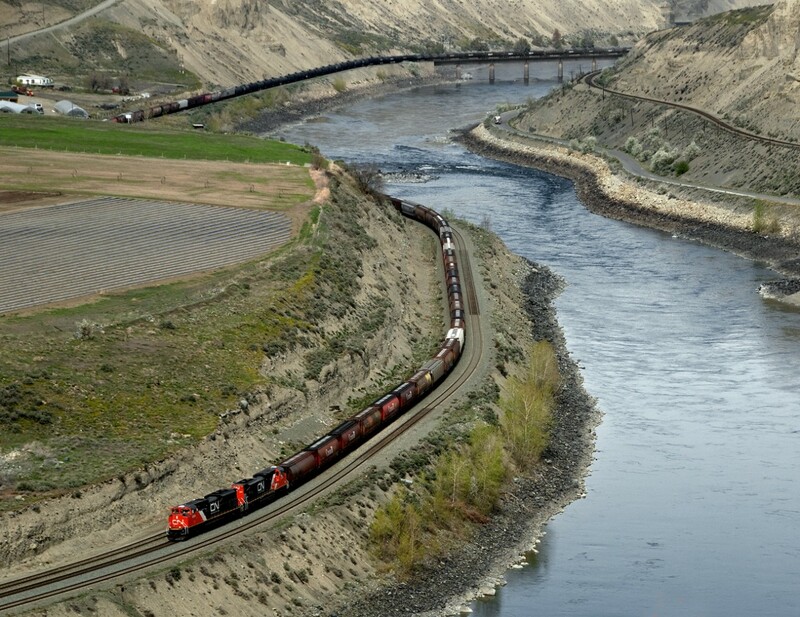 Railpictures.ca - Bill Hooper Photo: General freight 309 approaches the east switch to Ashcroft BC in the semi arid Thompson River valley. CP main is on opposite bank. Shared trackage starts about 10 miles west of here | Railpictures.ca – Canadian Railway Photography – photographie ferroviaire Canadienne.